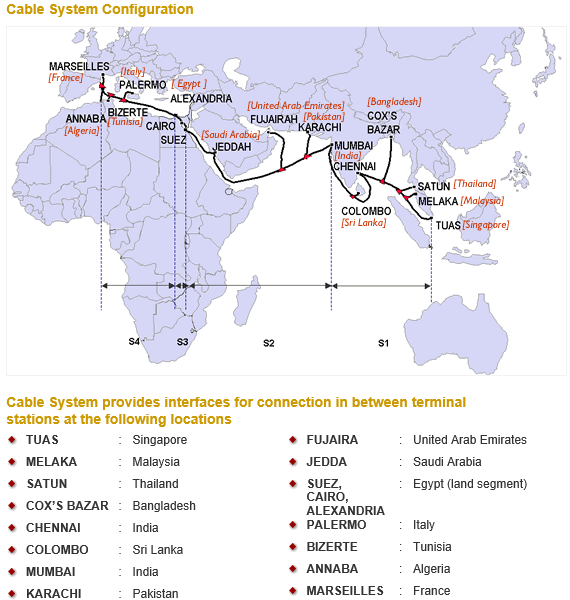 One of the international submarine cable (SMW4) has experienced fault in sea waters near Alexandria, Egypt. This has impacted internet services in the entire regions of the Far East, Middle East, Pakistan, India and North Africa. The international consortium of operators in the Region that manages the submarine cable system is proceeding to deploy repair services to restore services at the earliest. Meanwhile, PTCL has already undertaken necessary actions to minimize the impact on the services to customers in Pakistan, by making alternate arrangement for internet capacity. This has been made possible because of PTCL multiple submarine cable systems facility in Pakistan. Customers may experience slow browsing during peak hours and PTCL sincerely regrets this temporary inconvenience caused to valued customers, under the prevalent circumstances.